Are you familiar with the ‘Little Free Library’ Movement? It’s a way for neighbors to share books- something which might seem like a good idea in a brainy town like Princeton. And indeed- Little Free Libraries are now springing up in the area! You might see one on a walk around your neighborhood. Each Little Free Library is purchased or built by an individual, and set up on their property. Usually, they are outside, and freely accessible. Library trustees can register their library at littlefreelibrary.org, where you can also view a map of the more than 15,000 Little Free Libraries that have been set up all over the USA and beyond. Some towns seem to have taken to Little Free Libraries more than others. Minneapolis, MN has an insane number of Little Free Libraries, but neighbors in Leawood, KS used municipal zoning regulations to try to force a 9-year old boy to take down his Little Free Library. It will be interesting to see whether it’s an idea that will catch on in Princeton. Locally, they are springing up in the yards of property owners in West Windsor and Old Bridge, and the kids at Christina Seix Academy elementary school in Trenton built one too. Of course, Princeton already has an awesome public library, so maybe that is enough for local residents, but Little Free Libraries are more local and make sharing books a free and easy part of a walk in the neighborhood. What is your opinion on Little Free Libraries? Have you seen any in your neighborhood? Would you set one up yourself? Let us know in the comments. 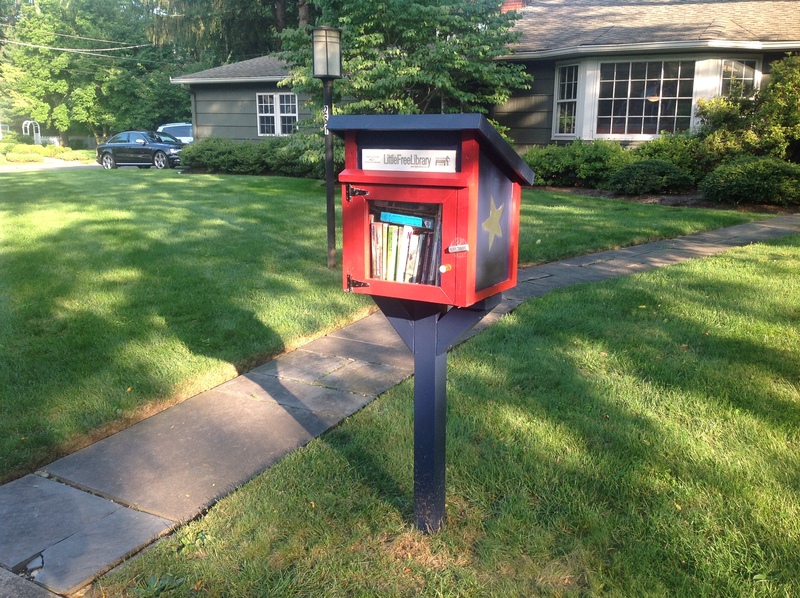 This entry was posted in Community, Local, Placemaking, Princeton, Walking and tagged community, little free library, Princeton, Walking. Bookmark the permalink. I have one in Morrisville, PA; across the river from you!